Oliver Stone already had two outstanding war films to his name (Salvador, Platoon) before directing this stirring late 1980s classic to a much deserved best director Oscar win. 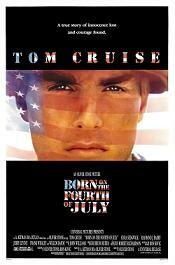 Born of the Fourth of July tells the true story of Vietnam veteran Ron Kovic, documenting his journey from eager volunteer, to bitter handicapped war veteran, to anti-war patriot, all done with a stunning clarity via Stone's always unwavering eye. Tom Cruise delivers a career best performance as Kovic, proving there is indeed a fine actor behind the movie star exterior. 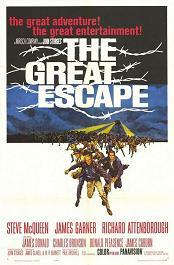 Featuring an ensemble all star cast of American (Steve McQueen, James Garner) and UK (Richard Attenborough, Richard Harris) talent, The Great Escape works as both war film and escape from prison thriller, reveling in the infectious camaraderie of its spirited performances and John Sturgess' fluid direction. Based on true life events, The Great Escape displays the honour and horror to be found in war, while also establishing itself as one of the truly great entertainers filled with many iconic moments, which can be watched again and again. Films depicting the Vietnam war came thick and fast after the fall of Saigon, but not many tapped into the horrors of war and the mourning that followed as effectively as Michael Cimino’s The Deer Hunter. 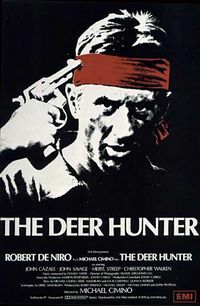 Starring Robert DeNiro, Christopher Walken, and Meryl Streep whilst at the peak of their youthful prowess, The Deer Hunter courted controversy with its depictions of war, and tapped into the political divide in an America at war with itself. Essential viewing for fans of all involved, yet no politics need, only humanity. It is indeed a special film which can convince its viewers of pining sympathy upon the fate of a crew of Nazi's submariners. Yet Wolfgang Peterson's 1982 war thriller Das Boot does just that, turning the tables of war film conventions by presenting the other side of the WWII conflict without resorting to goose stepping stereotype in the portrayal of its protagonists. 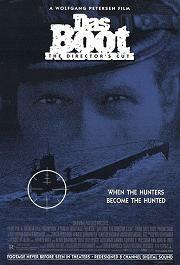 Based on historic events, Peterson's ultra-realistic depiction of life inside a German U-Boat both dazzles and draws his viewers into this claustrophobic world filled with chaos, banality, and bad hygiene, as a crew of raw recruits led by a cynical captain (Jurgen Prochnow) must contend with British naval superiority and the inept command of the Nazi brass. Has there ever been a more powerful opening 20 min in film? By the time Steven Spielberg unleashed hell on earth in his brutal depiction of the D-Day Invasion, the war film in general had lost its lustre on the big screen. 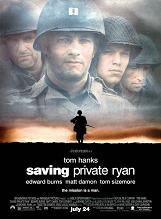 Yet Saving Private Ryan brought the genre back in unrelenting fashion, in its story of a group of US soldiers (led by Tom Hanks) sent on a mission to retrieve a paratrooper (Matt Damon) whose brothers have been killed in combat. Since its release, brutal realism in the war genre has become a must. But few match the power seen here. That many will know this superb Oliver Hirschbiegel directed film through the popular series of YouTube parody videos is just unfair and unfortunate for such an astounding piece of cinema. Bruno Ganz portrayal of Adolf Hitler during the last days of WWII remains one of the most daring and powerful performances in recent memory, injecting humanity into a very real monster whose last grasp for power in a losing war saw him turn on his own men and label his people cowardly traitors. 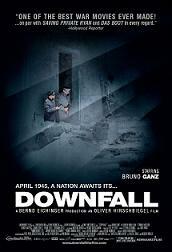 Ganz failed to receive Oscar love, as did Downfall itself in the best foreign picture category, marking one of the worst Oscar snubs to one of the best war films ever made. 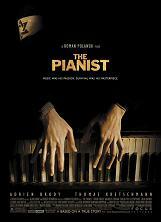 Many have said that The Pianist trumps Schindler’s List as the film about the Holocaust, and with good cause. Based on Wladyslaw Szpilman’s true life tale of survival against impossible odds, coupled with director Roman Polanski’s experiences as a youth in Polish city of Krakow (his mother died in Aushwitz), The Pianist excels as both stirring war time drama and technical achievement, with Pawel Edelman’s photography and Allan Starski’s art direction transporting the viewer to an unimaginable event in human history, Adrien Brody’s Oscar winning turn as Szpilman the human face amongst the monstrosity. It takes balls to say that your film is war personified. Yet that is exactly what director Francis Ford Coppola boldly stated, laying claim that his Apocalypse Now in not about the Vietnam war, but is the Vietnam war. Granted, the production was a battlefield in its own right, with Coppola fighting against a less than co-operative Philippines government, mother nature, and the destructive personalities of actors Martin Sheen and Marlon Brando. 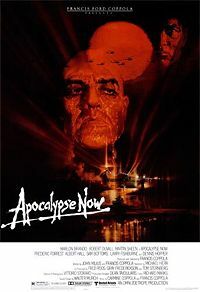 But Apocalypse Now is much more than a bunch of actors playing war in the jungle to the drum of a director at breaking point: it is madness made writ set amongst the backdrop of Vietnam, with Sheen’s Captain Willard assigned to assassinate Brando’s Col. Kurtz with “extreme prejudice”, his journey up river to Kurtz’s Cambodian compound unleashing the horror of war. In the history of cinema, perhaps no other image struck a chord as devastatingly simple as a young girl with a red coat, set upon a black and white backdrop, running amongst the madness which was the liquidation of the Warsaw ghetto. It is one of many moments in Schindler’s List that still makes it a film of immensely powerful significance, and cemented Steven Spielberg’s reputation as one of the best filmmakers of all time and voice for 6 million Jews who died during WWII. 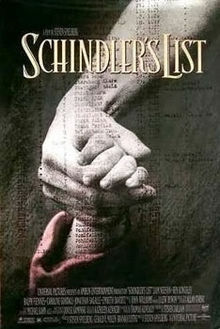 Yet perhaps most important of all, Schindler’s List brought forth the actions of one Oskar Schindler, a brave soul who used the very same ingenuity and drive with which he made a profit from the war, to become a saviour to almost 1200 Jews marked for death, leading credence to the Talmudic quotation, "Whoever saves one life saves the world entire." One of the most powerful and memorable war films ever made, Stanley Kubrick’s Paths of Glory is not so much an indictment of war and the military, but more of a critical look at the abuses of justice by those who hold the power of authority. 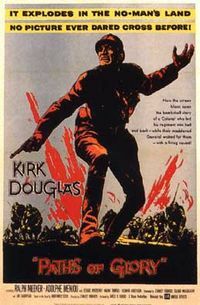 Set in France, 1916, the film tells the true life story of three French soldiers placed on trial for cowardice, and the commanding officer (Kirk Douglas) assigned to defend them against impossible odds. As well as featuring a number of heavy moral and ethical themes, the film also displays a rich eye for detail with its impressive set design and authentic looking costumes. Although it is one of his much earlier works, Stanley Kubrick displays masterful direction as shown in a number of key scenes, most notably a fluid tracking shot in the French trenches. Its simple yet heartbreaking conclusion leaves an undeniable sense of mourning for the events that has preceded it, and will linger in the souls of those who have watched this remarkable film.